Judith L. Bard, 76, passed peacefully into God's arms at Noble Hospital on Saturday, February 2 with her family by her side, after a brief illness. Judith was a 1960 graduate of Westfield High School. She is survived by her loving son Bryan S. Bard, brother Francis Bard, sisters Rachel Wellspeak, Eleanor Houghton, Priscilla Bard, and Linda Perez (James). Also neices Wendy Petrucelli, Jeanne Faria, nephews Jeffrey Bard, Kevin Bard and many many more whom she dearly loved. Judith was predeceased by her loving mother Frances M. (Bergmann) Bard, and her father. Also brothers Richard, Alan, Robert, Samuel, and William Bard. Sister Marie Bard, and sister in-laws Roberta Bard and Marie Bard. Judith was an outgoing and gregarious person from a young age, working as a teen at the former Coffee Den restaurant. She worked for many years at Woronoco Savings Bank in several positions. She also bartended at many local establishments including the Westgate Lounge, the Ye Ole Whip, many years at the Foster House, and lastly at Points East and the Westfield Elks. Judy was a competitive and social roller skater out of Babb's rink in W. Suffield, CT in her younger years. She had a special talent for making floral arrangements and crafts. She enjoyed playing cards with her sisters, always arguing about who won. She loved listening to music - her favorite being Englebert Humperdink, as well as Barbra Streisand, Pink, Adele and Rufus Wainright to name a few. Judy loved reading, taking walks, dancing, and especially Talking - a trait she alsos shared with her sisters. Judy was a caring, strong and independent woman, who lived her life on her own terms. 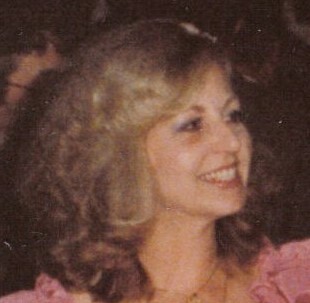 She is happily reunited in Heaven with her friends Peggy, Frank, Mary (Maina), Mitch, Rusty, Fran, Mary and Judy. She also leaves behind her special friends Sally Stuck, Marjorie Wilson, Roz Zurko, and Angela Barnes. Sadly, Judy missed seeing her favorite Tom Brady and the Patriots win their sixth title just hours later, but she's surely smiling from above. Services are private, there will be a memorial Mass in the spring. Donations may be made to St. Jude's Hospital for Children, The American Cancer Society, or a charity of one's choice.